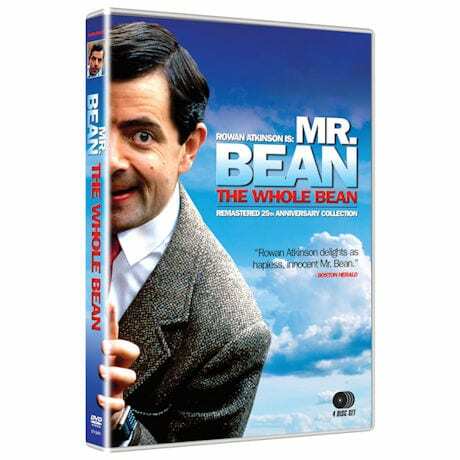 Comedy genius Rowan Atkinson stars as Mr. Bean, the hapless, rubber-faced clown, who never fails to leave a trail of merry mayhem and side-splitting laughter in his wake. Includes all 14 episodes of the landmark original series that introduced Mr. Bean to a slap-stick adoring world. Remastered, with bonus features. 6 hrs, 4 DVDs. 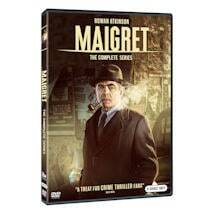 • Missing scenes: "Turkey Weight," "Armchair Sale," "Marching" & "Playing With Matches"
• Never Before Seen-On-TV Sketches "Bus Stop" and "Library"